A simple way to add a little extra flavour to your garlic. I add this to roasts, marinades and salads. It is a great addition to tzatziki. 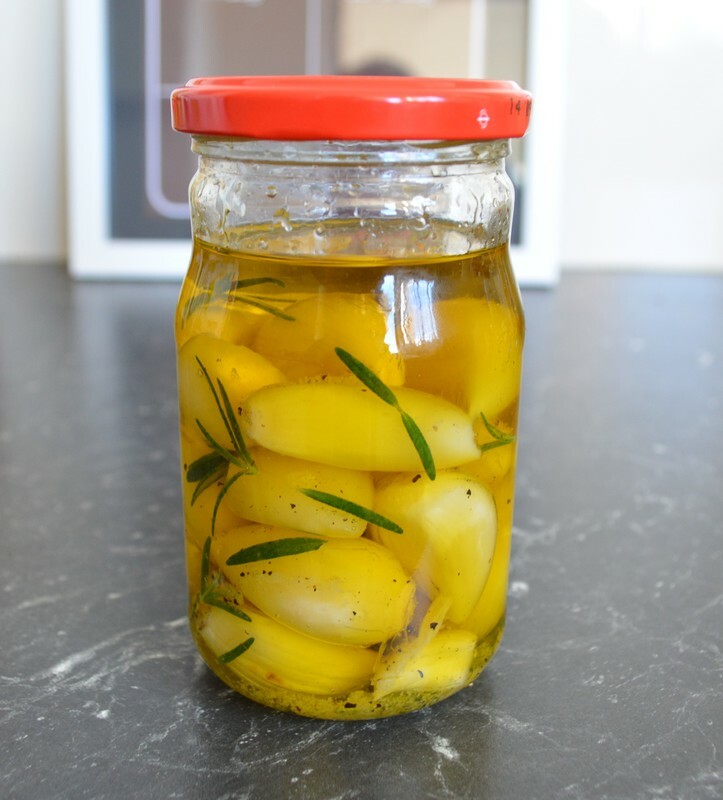 ​Separate and peel all the garlic cloves and put them in a 250ml jar. Add the olive oil, salt, pepper and rosemary. Screw the lid on and leave to marinate for a few days.